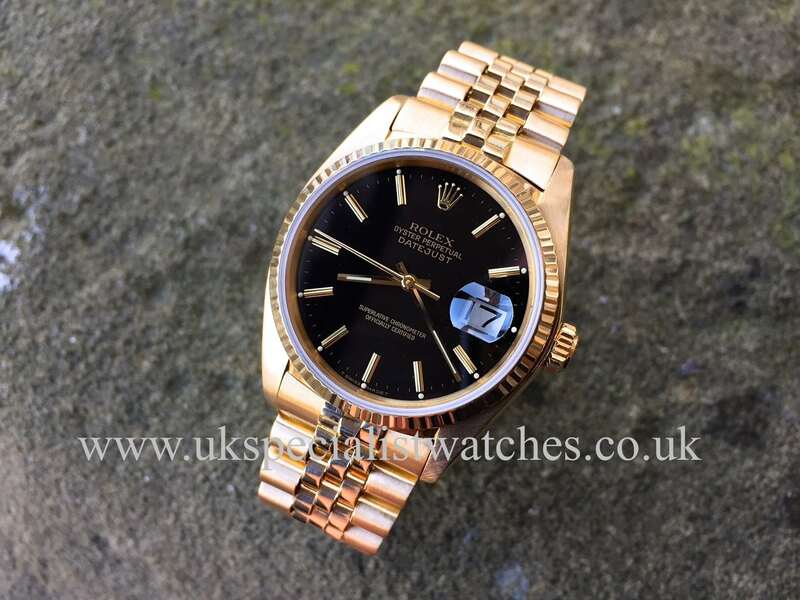 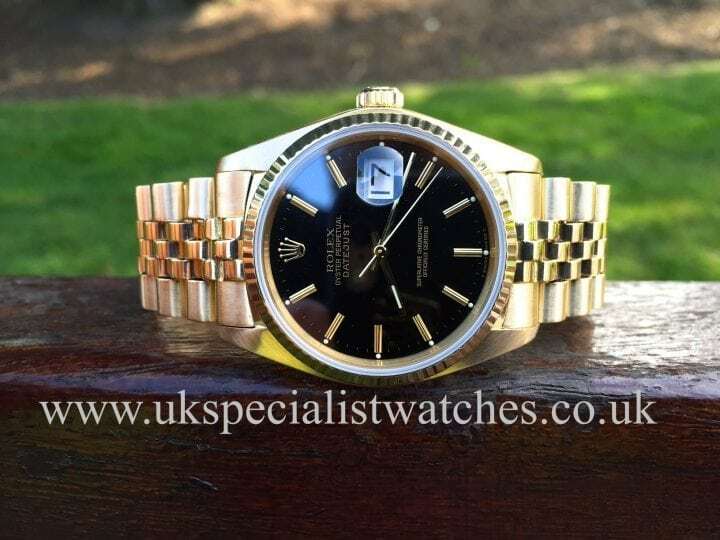 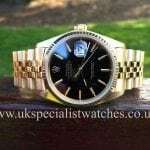 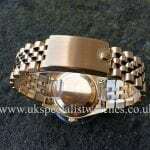 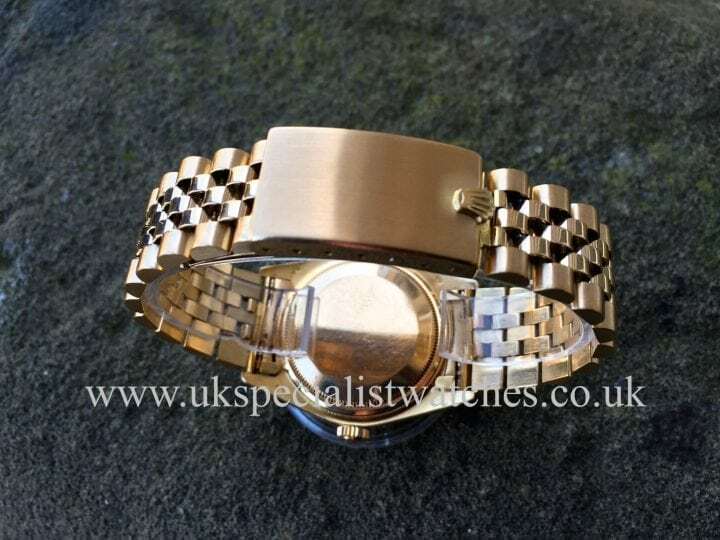 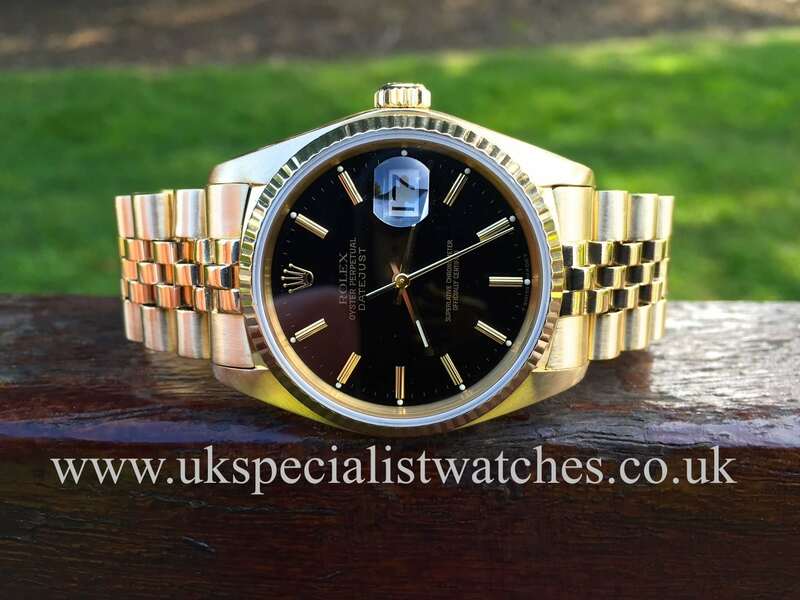 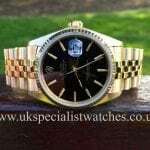 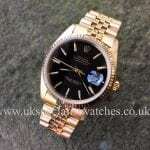 The Rolex Date-just 16018 made from solid 18ct Yellow Gold 36mm case Black dial with gold baton hour markers Jubilee bracelet is a great looking watch that can be worn everyday and with prices steadily on the increase of all Rolex vintage watches now is the time to invest!!! 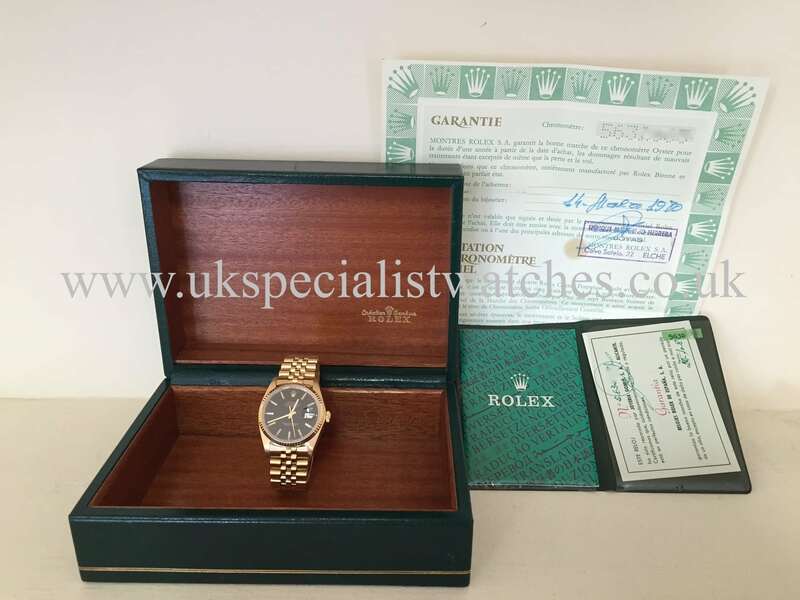 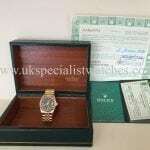 Our watch comes complete with box and papers. Serial number 5632**** was manufactured by Rolex in 1978-79, although wasn’t retailed until March 1980 at a official Rolex AD.